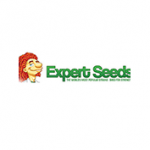 Expert Seeds - Amnesia Haze Auto. Free US delivery. Auto Amnesia Haze is the result of nine generations of crosses between Amnesia Haze and Ruderalis by the breeders at Expert Seeds. Haze genetics had arrived in Holland from the US and were subsequently subjected to various crossings giving rise to an assortment of sativa hybrid marijuana strains. One of these was then crossed with pollen from an old-skool Haze to create Amnesia Haze which is widely acknowledged as a very special strain. Auto Amnesia Haze grows somewhat taller than previous auto-flowering strains and maintains the sweet floral-influenced sativa palate, resin production (21% THC) and indoor yield of its illustrious ancestor. Flowering takes around 60 days from its onset giving a seed to harvest duration of between 80 - 90 days. Indoors it will produce between 450 - 550 gr/m2; outdoors between 60 - 80 gr/plant is the norm and, when grown in warmer, Mediterranean-style climates up to 3 harvests a season are quite possible.